I always find I get super tight and inflexible in the winter and loosen up in the summer when it’s easy to stretch because it’s warm. 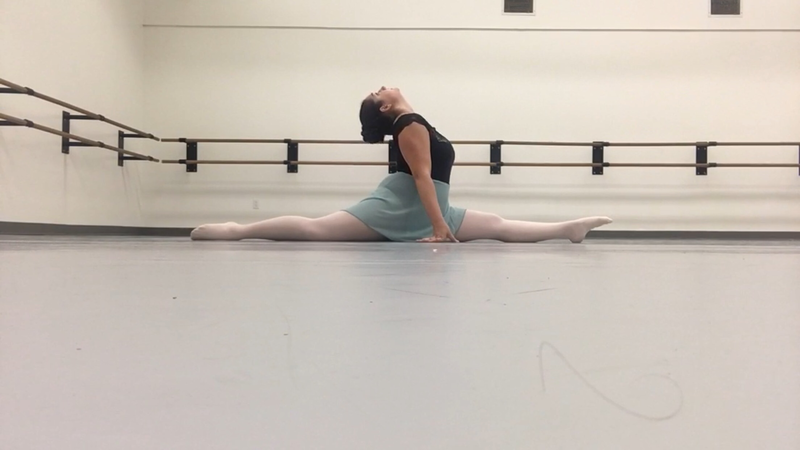 Well this year in general I’ve been slacking on my stretching and flexibility and boy does it show. I haven’t been running the past couple weeks because it’s been oppressively humid, but I ran twice this week and am dying on my floor right now after running in 80 degrees of gross heat. I’m slower, making sure I have water and taking walk breaks but I think it’s still better than doing nothing. I’m only doing about 2-3 miles as well because I think I’d die if I did anything longer. I still want to prepare for all the Fall races (3 half marathons!) but also stay injury free so it helps my dancing and doesn’t hurt it. My plantar fasciitis in my right foot has been doing well and jumps haven’t been causing sharp pain. 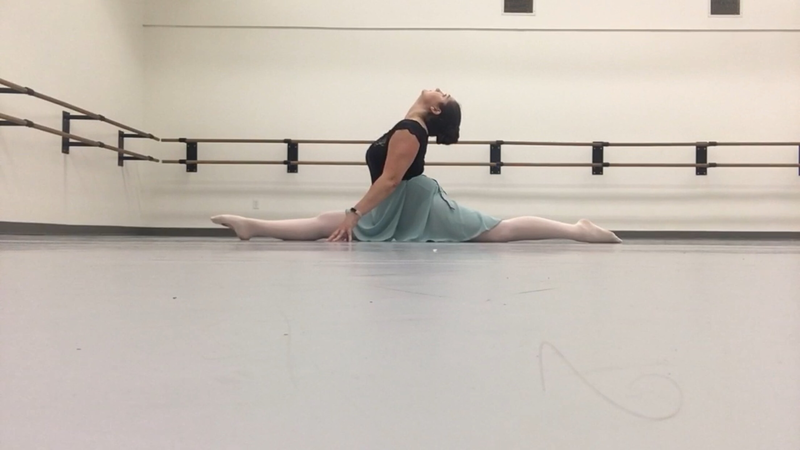 There’s one more summer session left that is three weeks so I have been taking ballet class all summer, doing barre on pointe and center in flats (definitely not ready for pirrouettes on pointe)! The last two weeks after class I’ve been staying in the hallway and making sure I take a good 20 minutes to stretch. It’s the perfect time since I’m warm from class and my flexibility game is lacking lately. I’m also making sure I spend as much time as possible after running to sit in all of my splits and hit my back and shoulders as well. 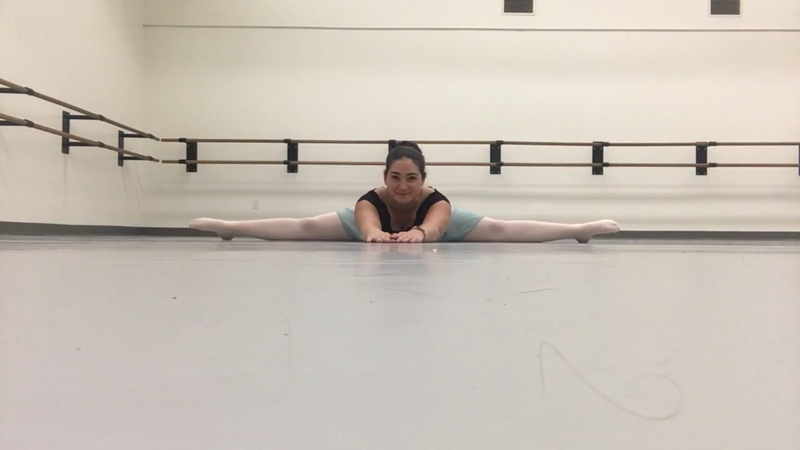 I’m taking a flexibility workshop tomorrow with one of my favorite dancers so I’m excited to see what I learn and implent it into my regular stretching routine. I had been going to yoga after work for a few weeks but didn’t make it this week or last because of a migraine and helping my friend with her business cards. I love yoga I just wish there was a little more holding of stretches in class. I also have been regularly doing barre fitness and yoga classes on Cody App that are geared toward flexibility. The classes with Megan Currie that are about backbending are amazing! I also just got the Yogance class which is yoga but with dance inspired flow and movement so I can stick with things at home. So here’s where I am now, now time to start stacking some yoga blocks! I will post my scorpion tomorrow after class because that’s going to be one of the big focuses and I’m so excited!